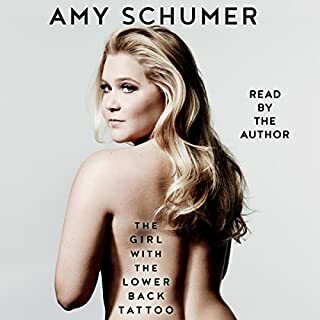 Would you try another book from Amy Schumer and/or Amy Schumer? This book needs to get a lot better just to reach the level of 'Awful'. She should stick to comedy and leave the writing to someone interesting. I only got 3/4 through and hate myself for getting that far. A powerful business fable that shows you how to spread Lean business practices to every function of your business. Pascal Dennis is a Lean-business learner and practitioner who has written four books on the subject of Lean business practices. 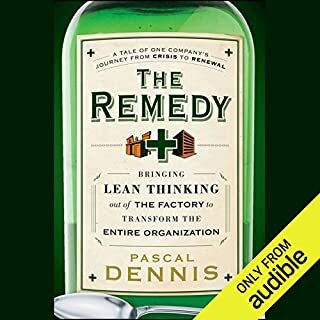 In The Remedy, he shows how Lean business practices can be expanded from manufacturing to all the other areas of your business - including design, engineering, sales, and marketing and all processes in between - and how doing so builds a more efficient organization at every level. Not on Audible. I think the illustrations are important and they are not offered as a supplement to the audiobook like some other books like The First 90 Days". Has The Remedy turned you off from other books in this genre? No. Although I'm not interested in the personal backgrounds of the characters or the love interest, or martial arts prowess of the main character, this book offers some good points. Points that are so deep that they may get lost in the unnecessary story. Would you listen to another book narrated by Kent Cassella? Could you see The Remedy being made into a movie or a TV series? Who should the stars be? It's a good book but, about twice the length that it needs to be. 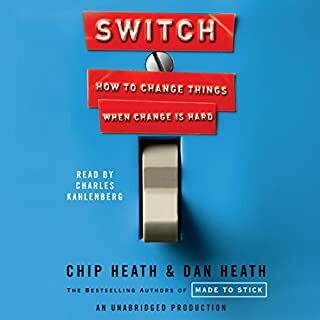 I can get past the narrator but the flow of the audiobook is, in my opinion only, not fluid. It's worth a credit but it's not great. 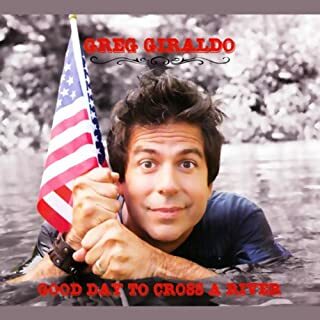 Giraldo is well-known for his stint as a regular panelist on Comedy Central's Tough Crowd With Colin Quinn. He regularly contributes a "rant" segment to Last Call With Carson Daly. He's had two stand-up specials on Comedy Central, has performed on Letterman and Conan, and hosts Stand-Up Nation on Comedy Central. Recorded live in April 2006 at the Comedy Works in Denver. Greg's style keeps you laughing throughout. He can be crude and over the top but, if you can get past that, he's very funny. Discover the books that have already enriched millions. 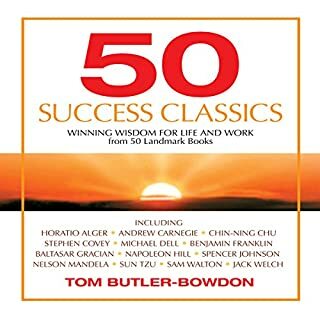 This unabridged guide to the literature of prosperity and motivation surveys 50 of the all-time classics, giving you their key ideas, insights, and applications, everything you need to know to start benefiting from these legendary works. This is a convenient way to get some classics and keep them with you.